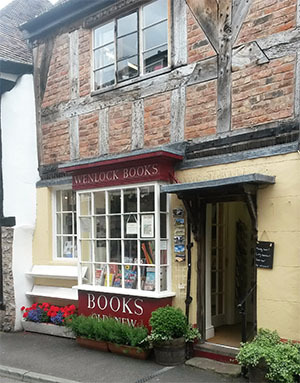 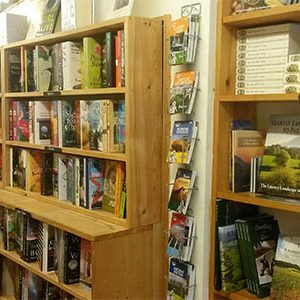 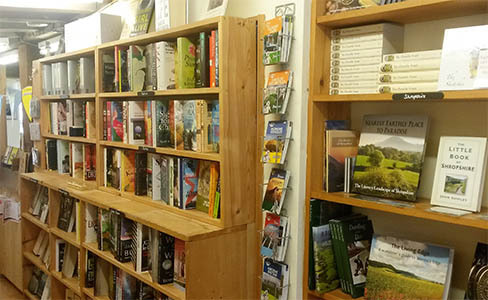 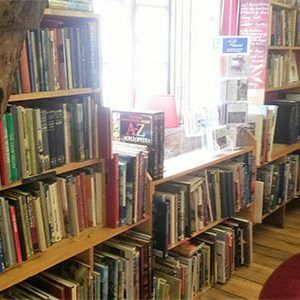 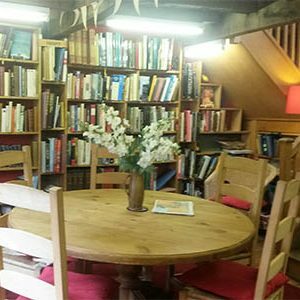 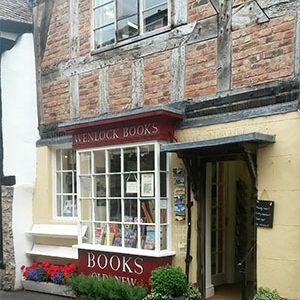 In this small, picturesque town full of vintage tea shops, the home of the Much Wenlock Poetry Festival, Wenlock Books fits seamlessly in. 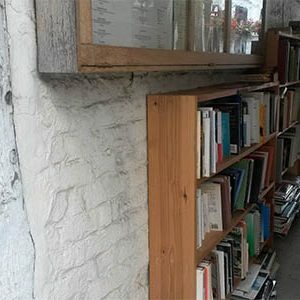 The building’s brick and timber framing lend to the shop’s unique character – while its interior matches accordingly – with low wooden beams, wooden floorboards and nooks and crannies filled with books. 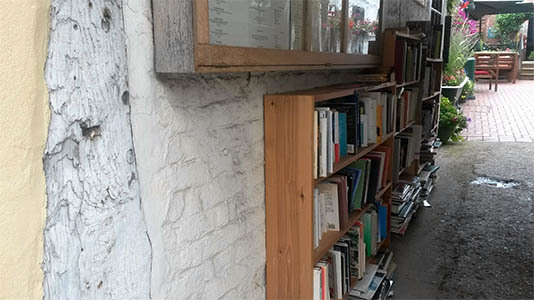 The first thing you see before even entering the shop is a bookshelf that runs along the side of the shop packed full of second-hand books. 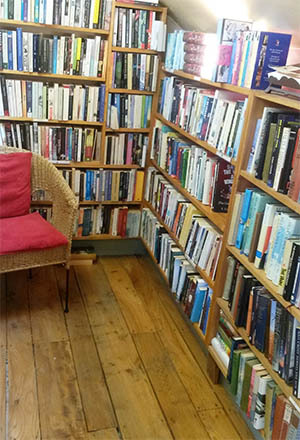 Inside, the shop sells both new and second-hand books, that spread across two main floors. 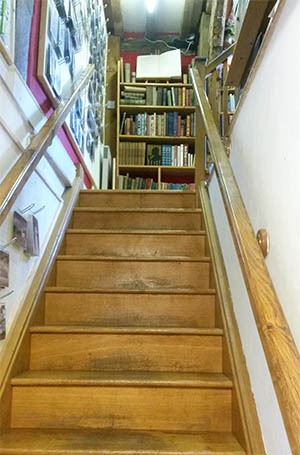 New on the ground floor and second-hand on the upper floor. 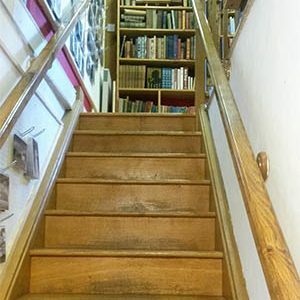 You will also find more second-hand books (the travel genre section) on a few shelves adorning the final stairway from the second floor to an area which is blocked off at the top presumably for the shop’s storage area. 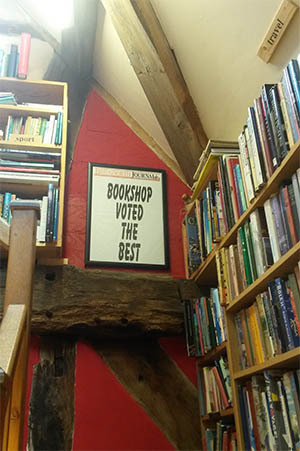 Here you will also learn that the shop was voted best bookshop by the Bridgnorth Journal. 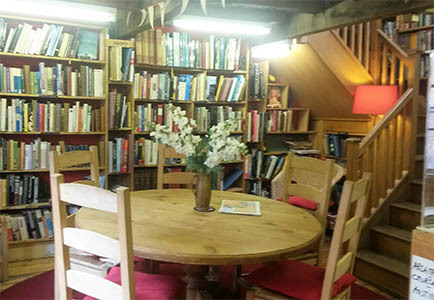 Some of the best parts of the shop include a large table and chairs on the upper floor, lit by natural light from a large window, which provides a great place to sit and peruse a few books before buying. 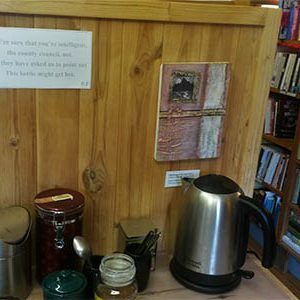 There is also a small table with a kettle, mugs and hot drink supplies so you can make yourself a nice cup of tea or coffee to sip on while you browse the large selection of books in this delightful store. 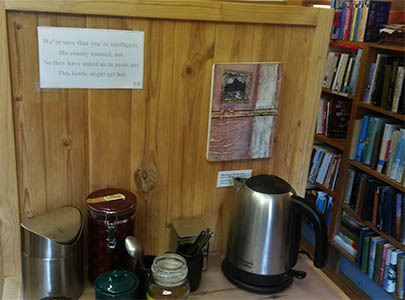 The drink station comes complete with a witty sign regarding the intelligence of readers and council regulations. 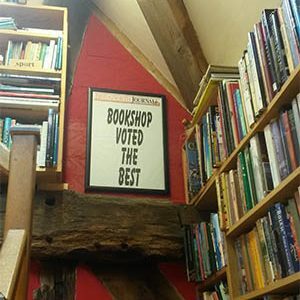 You could easily spend several hours wandering this lovely bookshop, browsing books and drinking tea. 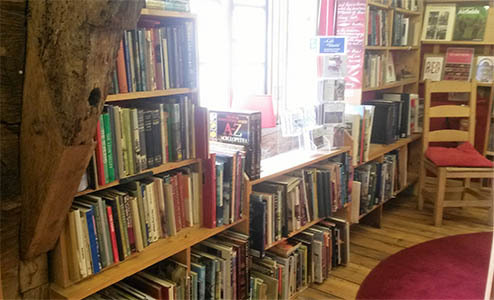 With such a good selection of books the locals in this small town really are spoilt for choice. 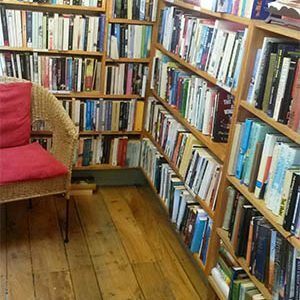 Within the second-hand books, we found a good few bargains including; A collection of Carol Ann Duffy love poems, Russian Short Stories, Laurie Lee’s As I Walked Out One Midsummer Morning, Barry Hine’s A Kestrel for a Knave and a great Folio Copy of Moll Flanders by Daniel Defoe.